Flying from point A to point B can be a real time-consuming chore nowadays. But what if there was an airline that got rid of all the hassle — like lost luggage, waiting around the terminal due to delays, and sitting in the dreaded middle seat? Perhaps we’re not too far off from experiencing such an airline. Teague, a Seattle-based design firm, released information on their idea of a future concept airline. And since they’re responsible for the epic design of the Pringles can, the UPS truck, and the first Polaroid camera, we’re hoping this is not just a dream. Check out renderings of the plane below and find out what it might entail if it becomes reality. 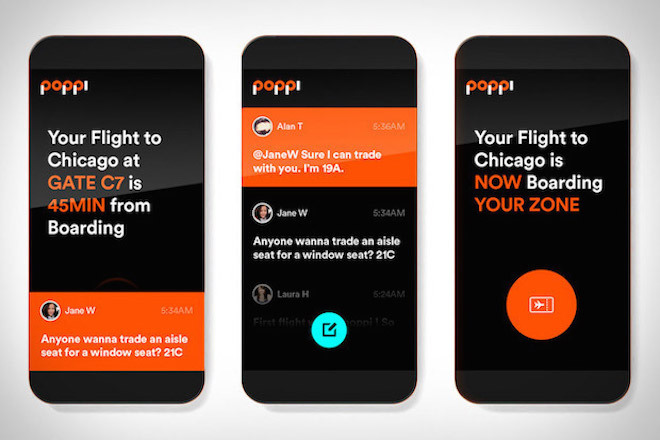 Membership airline: Instead of booking individual tickets, Poppi will be modeled after a membership program similar to Amazon Prime — but for airline tickets. Fedora bins: All regular luggage will be checked prior to takeoff, which will help to avoid the guessing game as to whether your bag will fit or not. A fedora bin will be offered to hold all personal items such as purses, laptop bags, and so on. The result? Boarding time reduced drastically (think up to 70%), and thousands of pounds reduced from each flight. Click class: And in the case you do need to take your luggage with you, there’s Click Class. 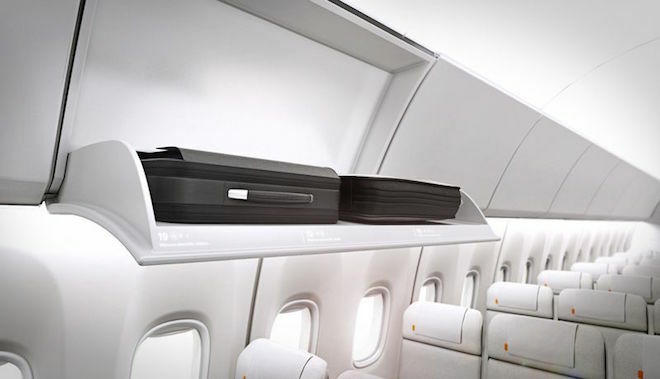 It’s basically like a Business Class seat with Poppi luggage that clicks into the side of the seat, making it easy to grab and go — and most importantly, easy to stowaway. Promotional class: For those who book tickets last minute and get stuck with the middle seat, Poppi strives to turn it into a fun, interactive experience via sponsors. According to Teague, “on some routes, Poppi’s promotional class could be sponsored by Beats or Microsoft. 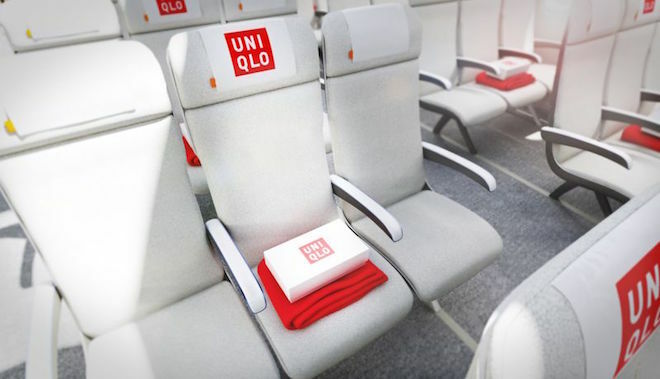 On another route, UNIQLO or Adidas.” These sponsors are to add value to the middle seat and make it more sought after versus being the black sheep of seat world. 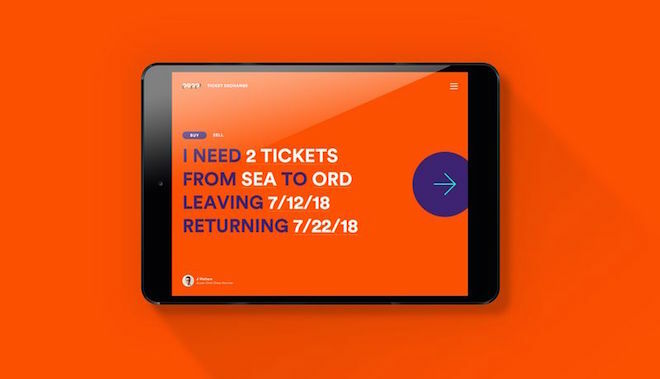 Seat swapping: Instead of awkwardly approaching people in the midst of boarding to see if you can switcharoo, the app will allow you to message people to see if they’ll kindly switch. Ticket resale: Gone are the days of being locked into plane tickets. Poppi gets that things change, which is why the app allows you to list existing airfare for other consumers to search and buy if it fits their travel schedule. A time-saving app: Instead of waiting around endlessly at your terminal, the Poppi app will give you real-time updates on when your flight will be boarding, flight delays, zone boarding, and more. On-demand snack machines: Hungry? Poppi aims to have on-demand snack machines at your beck and call. Meaning that you won’t have to wait forever to get a measly box of mediocre cheese and crackers. Luggage tracking: Electronic chips are attached to luggage and you can track your bags via the Poppi app. In other words, no more wondering where your bags are once you arrive at your final destination. Luggage delivery: Don’t feel like waiting an extra 30-45 minutes for your luggage to arrive at baggage claim? It seems there will be a service that will drop your bags off to your house or hotel, safe and sound. And since you have the electronic chip, you can see where they are at all times. Sounds pretty awesome to us. What do you think? I can't wait; sounds awesome!!!!!!!!! jennricewrites Thanks for the shoutout! 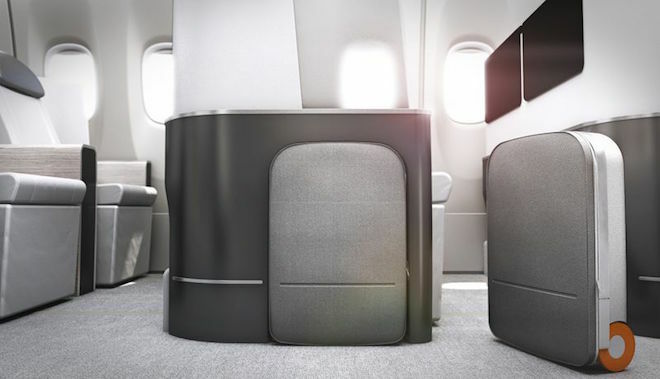 We love seeing how #Poppi continues to disrupt the airline industry!